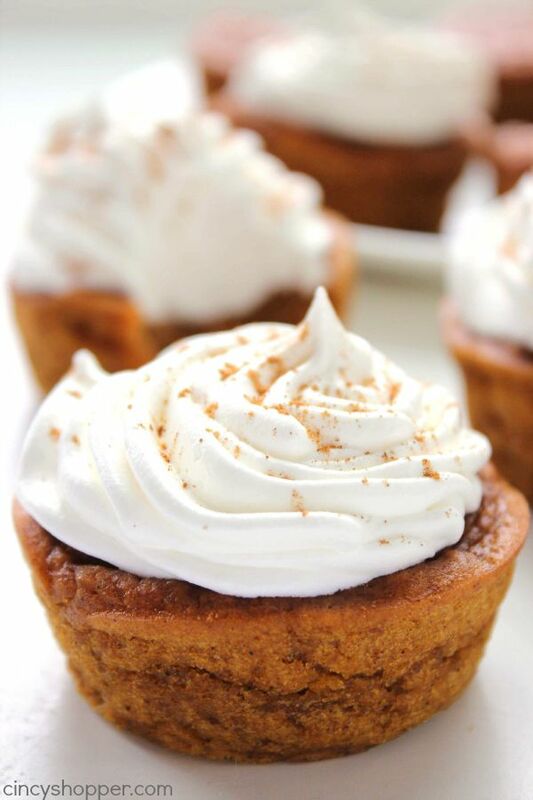 Earlier today, I shared our Homemade Pumpkin Pie Spice Recipe because I was baking these yummy pumpkin cupcakes for us to enjoy for after dinner dessert. 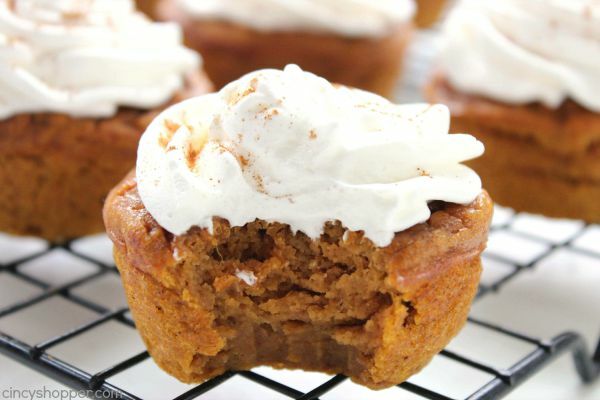 It’s fall so apple and pumpkin desserts are always a hit with my family. My daughter is our biggest pumpkin fan. She was the first to request some fall pumpkin desserts. I made her these super easy Pumpkin Pie Cookies and she was totally ecstatic and thought they were the BEST pumpkin cookies she has had. I know she is really going to label these cupcakes as the BEST pumpkin cupcakes that she has had. These cupcakes are not “cakey” like a typical cupcake. 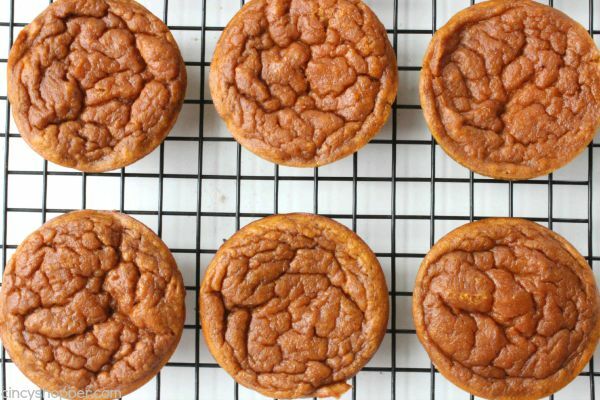 They are not the exact texture of pumpkin pie. I say right in-between. 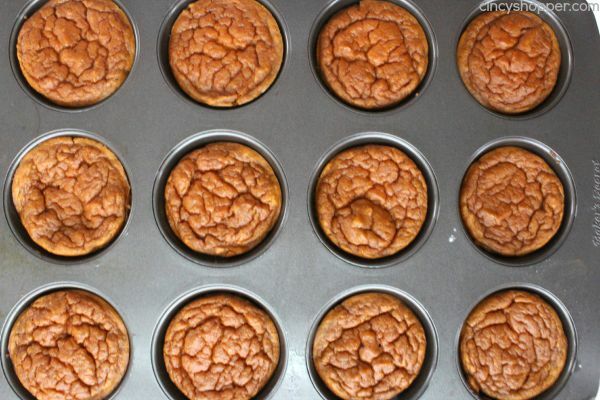 They are “damp” like a pumpkin pie but not as damp. I am not explaining them too well. Trust me, they are over the top delish and perfect with the whipped cream on top. 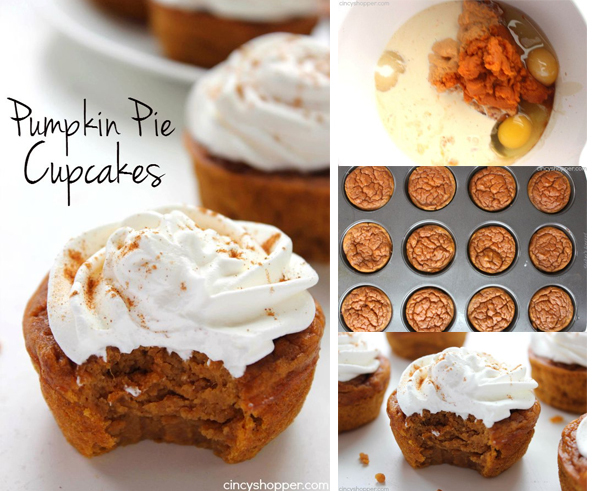 I am so excited at how yummy these turned out that they’ve officially made my Thanksgiving day dessert table list. My hubby just enjoyed two of them before heading out to pick up the kiddos from school. 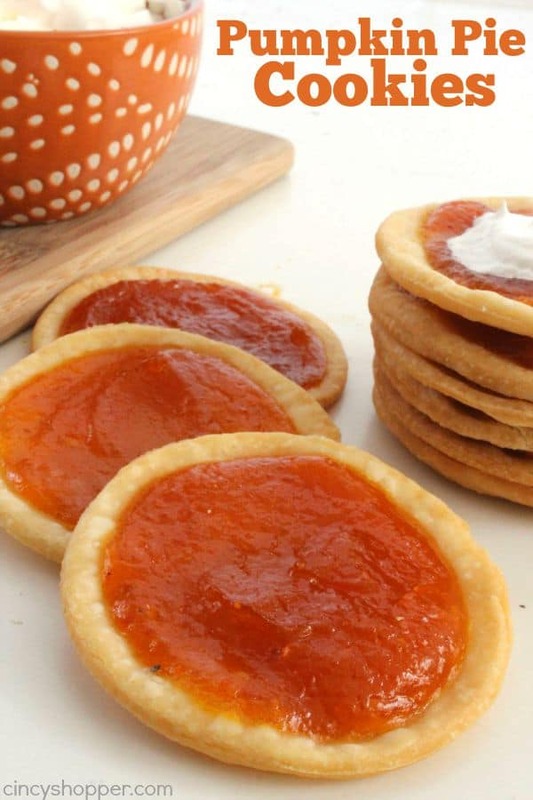 He agrees that they will be perfect for the holiday and I will need to make a couple more batches this fall. 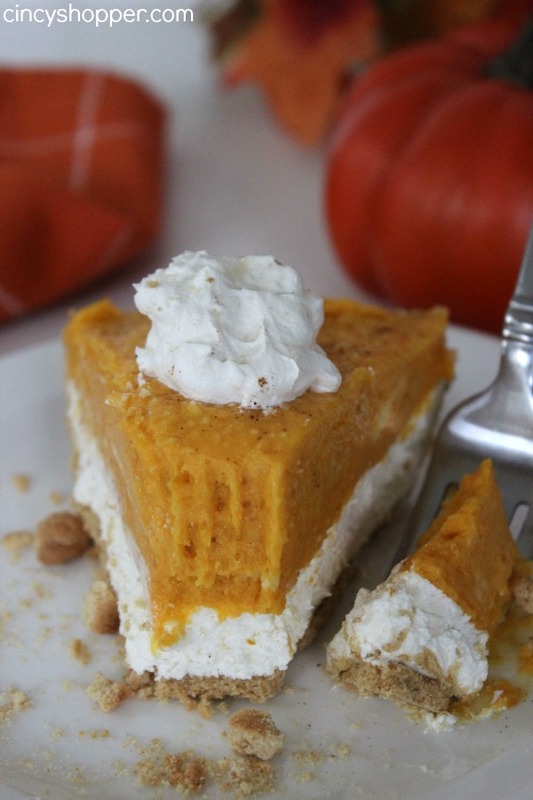 I think he even commented that they may even be his favorite pumpkin dessert. 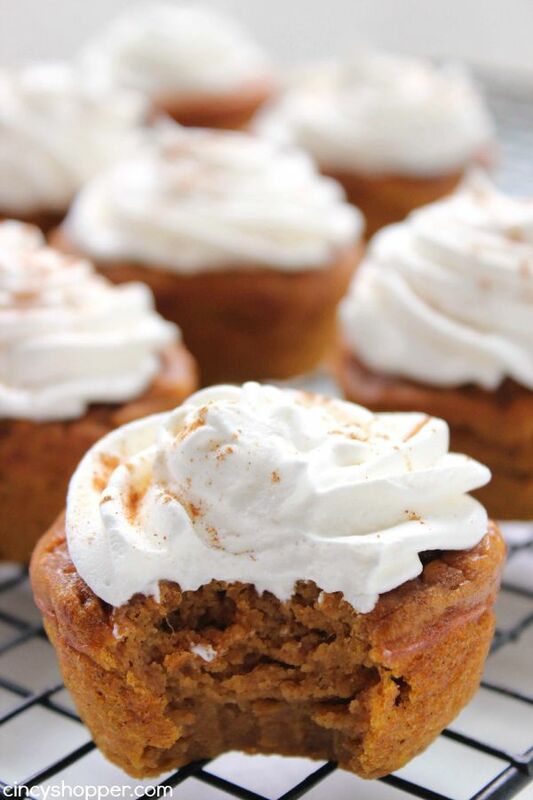 These pumpkin cupcakes can be made so quickly and do not require many ingredients. I liked that there was no need to make a separate icing because whipped cream works perfect on top. The scent of fall was filling my house as soon as these guys hit the oven. Perfect for putting you in a fall sort of mood. 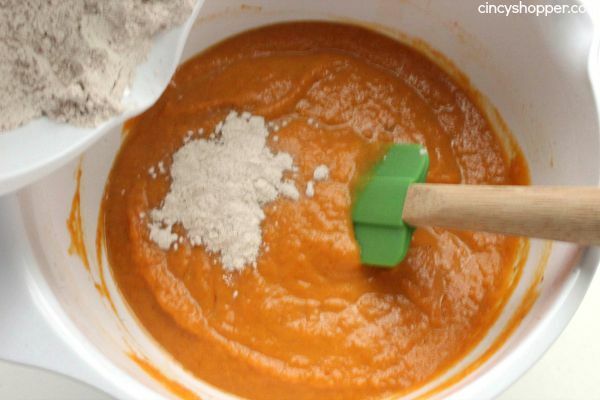 Whisk together flour, pumpkin spice, salt, baking powder, and baking soda. 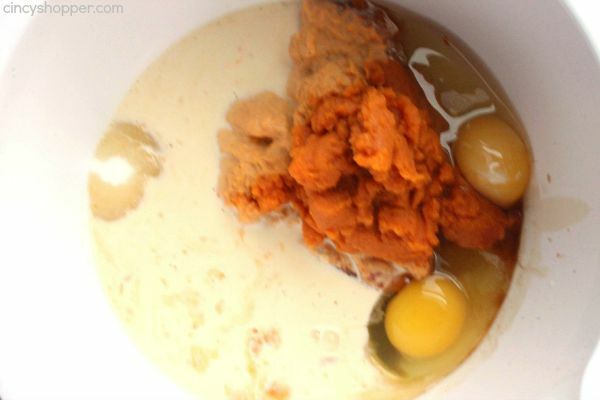 Mix together pumpkin, sugar, brown sugar, eggs, vanilla extract, and evaporated milk in large bowl. 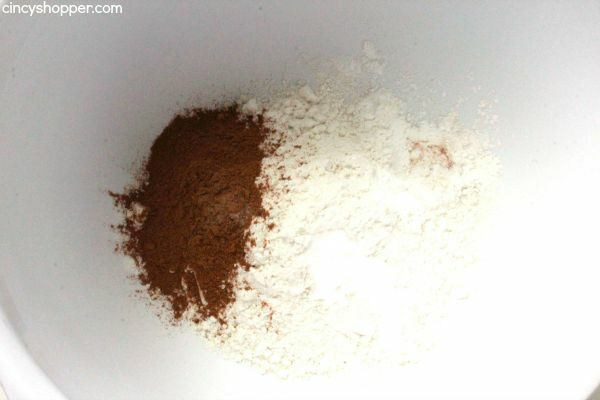 Add dry mixture to the wet mixture and stir until incorporated. 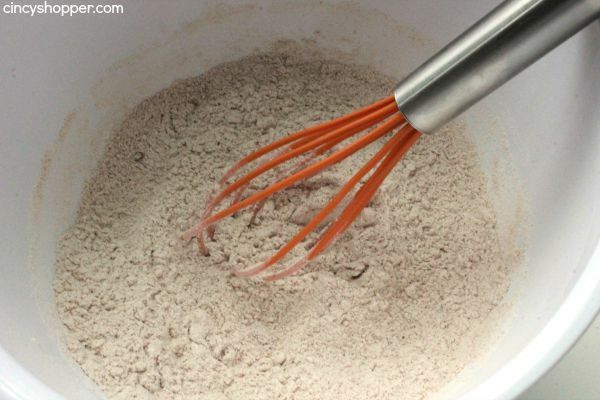 Fill each cup with 1/3 cup of the mixture. Cool in the pan for 15 minutes. Remove from pan and chill for about 30 minutes. 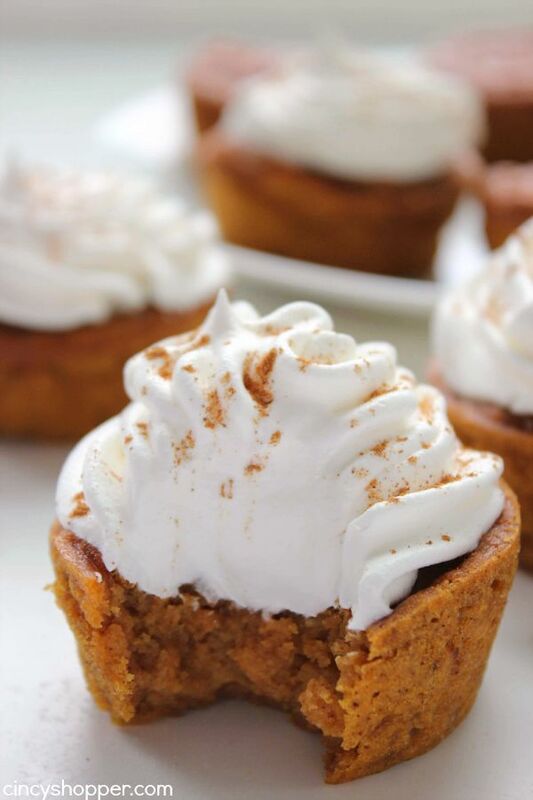 Top with whipped cream and dust tops with a pumpkin pie spice. 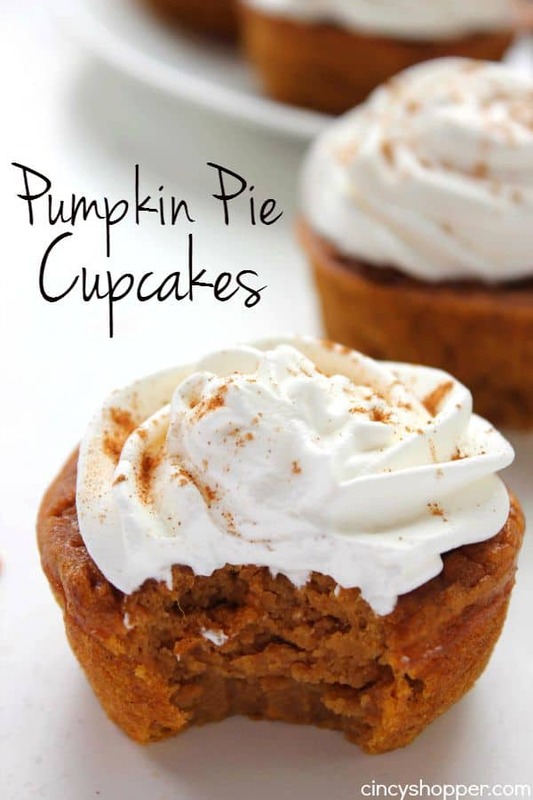 Just add on some whipped cream or Cool-Whip and a sprinkle of cinnamon and they look perfect! 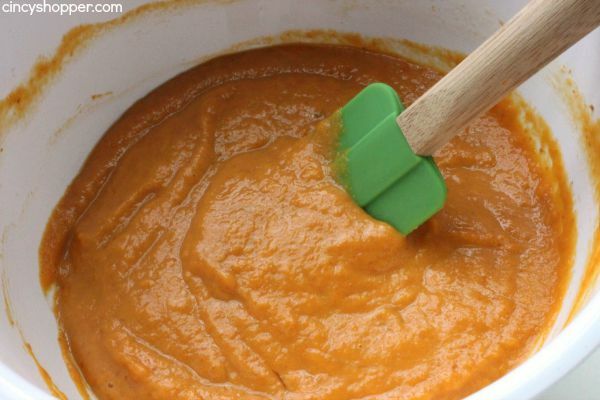 Do you have a favorite pumpkin recipe? These have certainly moved to the top of my list. Recipe slightly adapted from: The Krazy Coupon Lady! 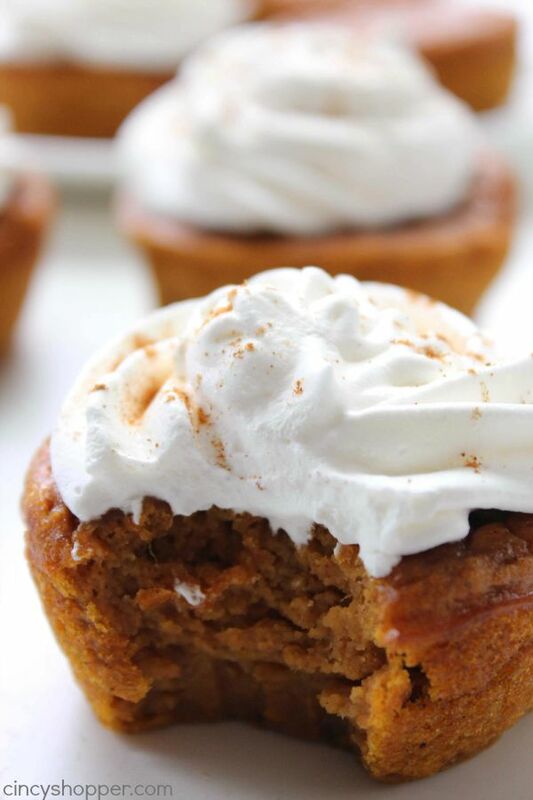 Your pumpkin pie cupcake look amazing. I can’t wait to try your recipe. I purchased my supplies this morning and hopefully can get some made this afternoon. 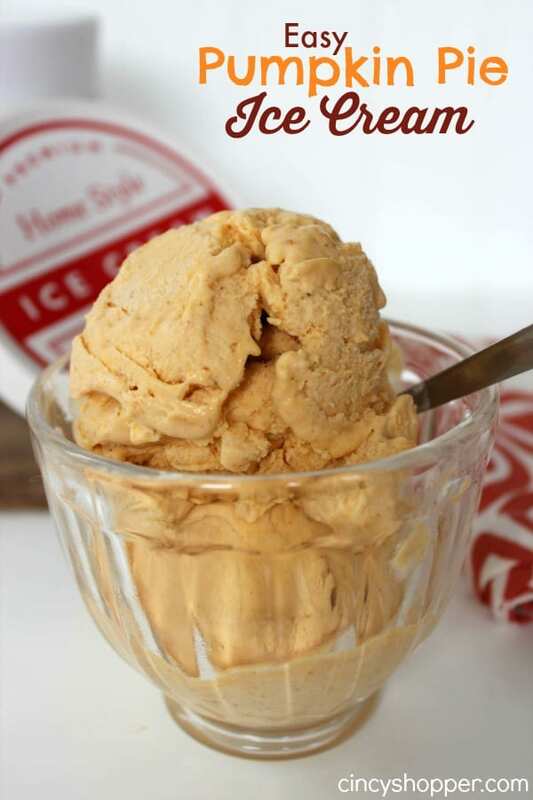 Thanks for sharing your recipe at Wake Up Wednesday Linky Party. 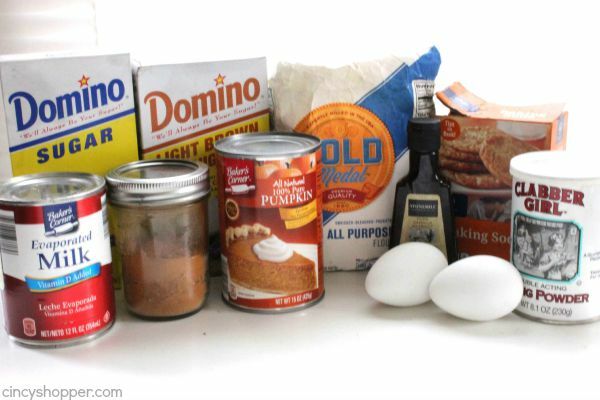 Your recipe will be Featured at this weeks upcoming party. 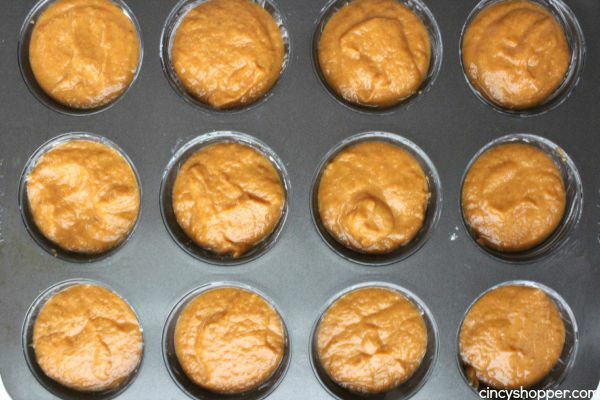 Please share how many pumpkin pie cupcakes the recipe makes? Have you ever tried a crut at the bottom with these? Im going to use you recipe (thanks!) and try and add some type of crust at the bottom. Do these need to be stored in the refrigerator? Making for thanksgiving and not sure how to serve, cold or room temperature? These cupcakes look scrumptious! Thanks for sharing the recipe. Pinning! These look amazing! Thanks for sharing with the Delicious Dishes Recipe party! I pinned your recipe yesterday and made them today. A-M-A-Z-I-N-G!!! I followed the recipe exactly and topped them with pastry pride. I made them for a dinner party and they were a huge hit. 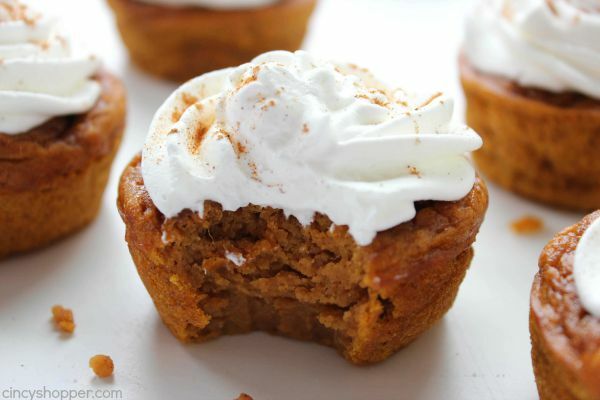 I love pumpkin but don’t love pumpkin pie and these are perfect. Thank you! I just tried this recipe. After cooking the cupcakes an extra 5 minutes they were undercooked. I threw the whole batch out. I very, very rarely ruin baked goods. I carefully followed the recipe and I’m confident my oven is working properly. 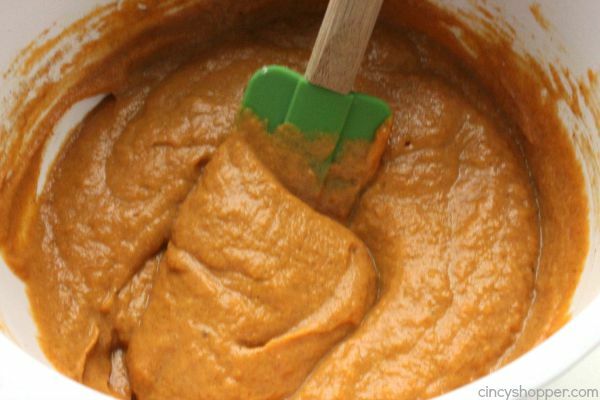 Can’t wait to start making lots of pumpkin flavored goodies for fall. Do this need to be refrigerated after baking? I also would like to know how many this recipe makes – is it 12 or 24. I know several people have asked but I never saw a reply.